I’m guessing you are looking for a quality solar panel system in Brisbane at the right price. Your home is your castle and you can’t afford to get this one wrong. Have a look around our website and check out our team, our pricing page, and our blogs. Next, hit the “get a quote” button below and we can arrange a free solar power Brisbane quote. 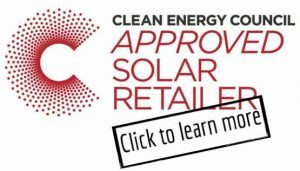 Mark cuts through the solar sales spin and gives an informed and unbiased view on a wide range of solar power products. From the latest inverters to solar panels, solar batteries and solar power Brisbane industry news. Find out why Mark is considered a solar power industry thought leader. 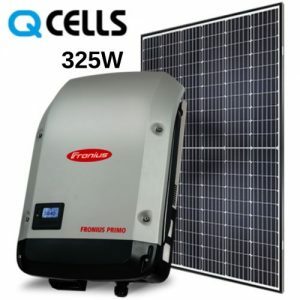 Looking for the best Solar Power Brisbane? When it comes to solar, price isn’t everything, but price isn’t nothing. We understand solar is an investment in your future energy bills. The main aim is to save money. That’s why we’ve put our prices on our website for you to see. We know we’re not the cheapest. We install quality. We know we’re not even the cheapest for the same panels and same inverter. But we also know you’ll get the best solar install and the best service. You’ll have a system that will last for years to come, and a company that will be around to back that up. From the start, we found this company to be very professional. Whilst on the roof, at our request, they even used silicone to seal a leak & they also replaced two broken tiles. They are extremely helpful with any questions we have. Highly recommend! What a pleasant experience! All the staff and Mark were helpful and informative, they all seem to share a joy of working for MC solar and solar installations. The website has to be mentioned it is helpful and easy to understand and also makes it easy to pick the system that suits your needs. The system has been up for a couple of weeks now and their after sales service has been great. Very happy customer and glad I chose them! From start to finish, M C Solar and Electrical provided exemplary high quality customer service for the installation of our solar electricity system. They were the first to respond and arrange for an onsite quote and their staff are all very professional, trustworthy, proficient and responsive to all our queries and requests. Everything they promised was delivered and has exceeded our expectations so far. The staff from MC Electrical were very good. The sales person was informative, experienced and helpful with a very good knowledge of the systems and equipment. The office people were friendly and helpful as well. The installers were efficient, friendly and respectful. The installation went ahead very quickly and without any hitches and as per the plan. We were up and running after about 7 hours. These folks were fantastic. From sales to install I can not fault them. They were helpful, friendly and professional. You just don’t get this level of service, quality of product and excellent work enough these days. I couldn’t be happier and won’t hesitate to recommend them to others. Five Stars. MC Electrical were very professional, helpful and explained all facets of materials, warranties etc. No aggressive or hard selling techniques they look at the best options for your needs and give you all the time you need to make a decision. The installation team were very skilled and friendly. They knew what they were doing and got on with it, I would highly recommend them to anyone looking to install solar panels. First, see what our customers say. On Australia’s leading solar information site, Solarquotes.com.au, we are not just rated as the best solar panel installers in Brisbane. We’re the number 1 provider of solar power in Australia according to customer reviews. Our Google reviews are not too bad either. This year marks my tenth year in Business. I registered MC Electrical on 2nd of April 2009. There is a lot we have learned about installing solar panels and serving customers in that time. We directly employ all our own Electricians – we never sub-contract. (That can only be done because I am an Electrical Contractor). We have nine Electricians on staff. Three in the office, five installing solar every day, and one dedicated to honouring our warranty and performing pre-installation checks. We have 6 mature age apprentices. We take solar panel training seriously. Two of our past apprentices have stayed on as Solar Electricians. Two more will follow this year and two more in 2019. This continuity of training ensures quality control. We take solar panels seriously. While I’ve got the privilege of blogging, many ideas come about by rigorous discussion with our office staff and our technically driven sales staff. For this reason, we are considered as an industry thought leader. We’re CEC approved retailers and have signed the code of conduct. That’s different to CEC installers or CEC Members. I explain why here. In the last ten years, we’ve worked out that it’s more than just the right solar panels and inverter – that’s the easy part. You’ll also have the right component holding it all together. We’ll put the right blokes on your roof to install it, and the right customer care should anything go wrong. Your solar investment will last well beyond the three or four years it takes to pay it off. It’ll keep on cranking – saving you money on your power bill for the next ten years. That’s our guarantee. With a bit of maintenance, I’m confident many of our systems we install this year will still be running in 2040. You’ll be glad you went solar, and you’ll be glad you chose MC Electrical.